Washington DC's newest memorial to the Rev. Martin Luther King Jr. opens to the public Monday August 22, 2011 at 11 a.m. The Memorial is the first to an African America on the National Mall, and is situated about half way between the Jefferson Memorial, on the other side of the Basin, and the Lincoln Memorial, to the northwest. 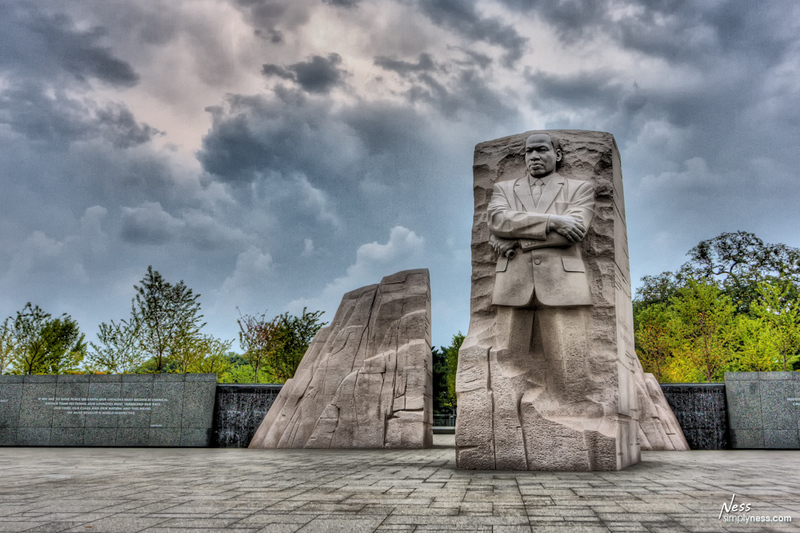 It is scheduled to be dedicated on Washington DC's National Mall on Sunday August 28, 2011, the 48th anniversay of Dr King's" I Have a Dream" speech. Photo was shot a week before it was opened to the public.